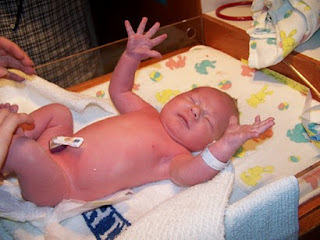 The Crocheron's Blog: Two years ago today (Jan 19th, 2008) my Mom and Dad expected me to arrive. They walked around the mall, mom drank fish oil, made a belly cast, and tried other methods on getting me to make my appearance. I decided to make them wait a few more days...they say it was well worth the wait! Two years ago today (Jan 19th, 2008) my Mom and Dad expected me to arrive. They walked around the mall, mom drank fish oil, made a belly cast, and tried other methods on getting me to make my appearance. I decided to make them wait a few more days...they say it was well worth the wait!